Guy Haley has released his latest novel, Death of Integrity, and it does not disappoint. We had Guy Haley on our Forbidden Lore segment for his previous effort, Baneblade, which we were big fans of. It is safe to say that this book is an improvement even over that great story. With this novel out, Guy is quickly becoming one of my favorite authors in the stable of 40k fiction writers. The great part about this novel is that the large cast of characters that it follows. From the Chapter Master of The Blood Drinkers, who is battling his chapters curse, the First Company Captain of the Nova Marines and his mentor-sargeant, and even the mysterious Mechanicus explorer that has a host of dangerous secrets. The characters are what really drives this story forward. There was not one character represented here that I wasn’t interested in learning what was to become of them. Speaking of secrets, many are revealed about the Nova Marines, but even more so, the Blood Drinkers. 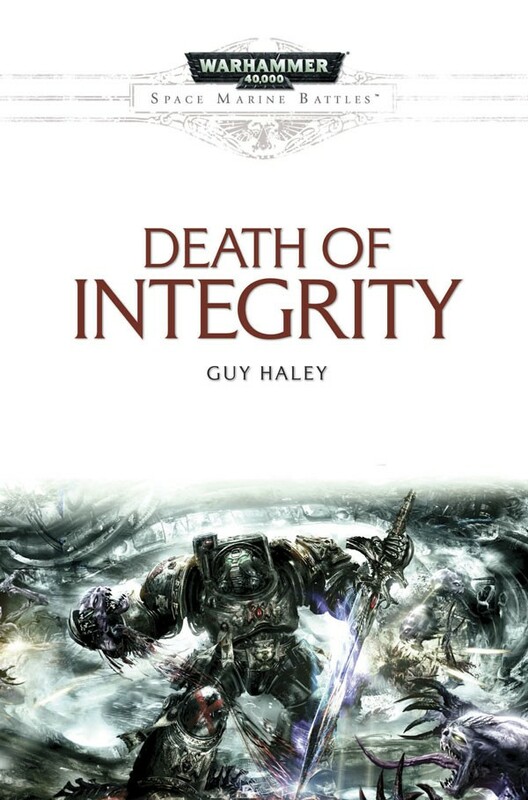 For a Space Marines battles novel, this book has more reveals than a good Horus Heresy book! I have always been intrigued by the Nova Marines, for one thing, their color scheme has always appealed to me, but it doesn’t hurt that their founding chapter is the Ultramarines. All right, I may be a bit biased there. There are a handful of Space Marine Battle novels that stand out from other Warhammer 40k fiction. Rynn’s World, Helsreach, Battle of The Fang, and now Death of Integrity. Do not miss picking this one up as it is one of the best 40k novels of the year, in a year of great novels. You should pick this novel up as soon as possible, since we are going to have a discussion with Guy Haley himself during Episode 86 (Corrected – previously read ‘Episode 56’ -Carl) of The Independent Characters for our Forbidden Lore segment!